The Government is being urged to expand Clean Air Zones nationwide as new research finds that 44 UK cities are in breach of recommended World Health Organization (WHO) guidelines for air quality. According to the report by the Royal College of Physicians (RCP) and Lancet Countdown, a total of 44 of the 51 UK cities in the WHO’s 2016 ambient air pollution database exceeded the WHO’s recommended limit value for particulate matter smaller than 2.5 microns (PM2.5) of 10 micrograms per cubic metre, including Glasgow, which recorded a figure of 16 micrograms per cubic metre – higher than London’s 15 micrograms per cubic metre. The research also found that 13 cities exceeded the PM10 limit (20 micrograms per cubic metre). Although the report set out that most of these cities are within the EU annual limit values (25 and 40 micrograms per cubic metre for PM2.5 and PM10, respectively), it added that WHO’s limits represent a safer threshold, and also pointed to a recent US study of over 60 million people, which found there is no safe level of air pollution. In response, the report’s authors said the UK government must act on air pollution as an urgent policy priority, in particular, expanding Clean Air Zones nationwide with adequate funding for their implementation and a clear mandate for charging zones in the most polluted cities. The report also calls on the government to increase investment in active transport to at least £10 per capita by 2020 as per the Conservative government pledge in 2015 and drive increased levels of walking, cycling and public transport use nationwide. The authors also outline the need for comprehensive and joined-up climate adaptation policies – at local and national levels, across sectors, and linked with international processes – and for the government to further drive down the carbon intensity of electricity generation. 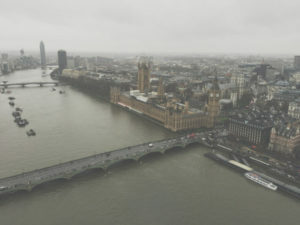 The Royal College of Physicians’ special adviser on air quality, Professor Stephen Holgate, said: “The UK is leading the way internationally on many areas of climate and health – with the recent T-Charge a good example. Yet it continues to miss the glaring opportunities that can be implemented today with highly substantial benefit.